Itochu Corporation (伊藤忠商事株式会社, Itōchū Shōji Kabushiki-gaisha, known in English as C. Itoh & Co. until 1992) is a Japanese corporation based in Umeda, Kita-ku, Osaka and Aoyama, Minato, Tokyo. C. Itoh & Co., Ltd.
Itochu is one of the largest Japanese sogo shosha (general trading company). Among Japanese trading companies, it is distinguished by not being descended from an historical zaibatsu group, but by the strength of its textiles business and its successful business operations in China. It has six major operational divisions specializing in textiles, metals/minerals, food, machinery, energy/chemicals and ICT/general products/real estate. Itochu was ranked 215th on 2017's list of Fortune Global 500 companies with an annual trading revenue of 44.65 billion USD. Itochu is a member of the Mizuho keiretsu. Itochu dates the start of its business to 1858, shortly after the opening of Japan to foreign trade, when Chubei Itoh (伊藤 忠兵衛, Itō Chūbei) began door-to-door wholesaling of linen in the regions between Osaka and Kyushu. Itoh founded the "Benichu" drapery store in the Honmachi district of Osaka in 1872. This site was renamed "Itoh Honten" in 1884 and became the Itoh Thread and Yarn Store in 1893, which was renamed "C. Itoh & Co." in 1914. Chubei Itoh II took over the company following his father's death in 1903. The company opened an office in Shanghai in the 1890s and started business in Seoul in 1905, but had severe difficulties with these first overseas forays. Itoh travelled to London in 1910 and began direct procurement and financing for the business in the London markets, which considerably improved its margins as it had previously used more expensive intermediaries in Japan. Itoh's company grew considerably in the wake of World War I, with offices in the United States, India, the Philippines and China, and the firm began to handle machinery, automobiles and metals in addition to its core business of textiles. However, a recession in 1920 left the company deeply in debt, and unlike the major zaibatsu firms of the time, it had no captive bank to finance its business. In 1921, the company split in half, with one half forming what is now known as Marubeni. The company's performance improved in the 1930s, but as World War II began in the latter half of the decade, all trading companies' business became increasingly war-oriented. In 1941, Itoh and Marubeni re-combined to form Sanko Kabushiki Kaisha, which merged with two other companies to form Daiken Co., Ltd. in 1944. After World War II, the constituent companies of Daiken were spun off from each other in December 1949 as part of GHQ efforts to dismantle the war-era zaibatsu. Itoh re-listed on the Tokyo Stock Exchange in 1950. Itoh resumed business in the wake of the war by bartering Japanese textiles for foreign grain, and resumed trading in petroleum, aircraft, automobiles and machinery to meet UN forces requirements during the Korean War. After the war, Itoh absorbed many smaller trading operations that could no longer stand on their own. Itoh expanded its overseas mining and petroleum exploration activity in the late 1960s and early 1970s, followed by large-scale overseas industrial projects in the 1980s. Former Imperial Japanese Army staff officer Ryuzo Sejima joined Itoh in 1958 after spending 11 years in a Siberian prison. Four years later, he was promoted to director and became Itoh's head of corporate planning, implementing a military-style internal reporting system. He went on to serve as president and chairman of the company, having developed a powerful group of followers known as the "Sejima Machine." In 1970, Sejima and his younger protege Minoru Murofushi arranged a joint venture between General Motors and Isuzu, one of the first tie-ups between US and Japanese automakers. In 1972 Itoh became the first Japanese trading company allowed to do business in the People's Republic of China. 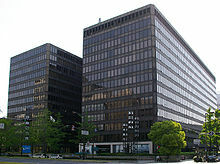 Itoh was headquartered near the site of Chubei Itoh's historical headquarters in Osaka until 1967, when it upgraded its Tokyo branch to the status of a co-headquarters. 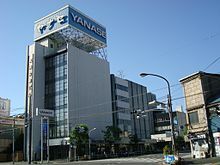 In the 1970s, the company became part of the "Kawasaki Group" within the keiretsu of Dai-Ichi Kangyo Bank (now Mizuho Corporate Bank), eventually displacing Nissho Iwai as the keiretsu's dominant trading company. Itoh's affiliation with the keiretsu was significantly looser than other keiretsu-affiliated trading companies, and many firms within the DKB group did not use Itoh's services at all. Itoh absorbed Ataka & Co., the ninth largest general trading company in Japan, in 1977. Ataka had recently suffered major losses from an oil development project in the United States and had undergone restructuring at the direction of its main lender, Sumitomo Bank. From the early 1970s Itoh was a major supplier of synthetic yarn (polyester) to India's Reliance Industries Limited. Over the years, the close collaboration between both companies culminated in the co-promotion of a world-scale Polypropylene Project with a capacity of 250,000 tonnes per annum at a total project cost of Rs. 525 Crores, at Hazira in the State of Gujarat. With a $50 million for a 15 percent stake, it was at that point, the largest investment in India by a Japanese firm. Itoh also marketed products—under their own label—as diverse as a line of bicycles (mostly manufactured by Bridgestone), and computer printers. Itochu began to develop a strong information technology business in the 1980s through its subsidiary C. Itoh Techno-Science (CTC), which acted as a Japan distributor for Sun Microsystems, Cisco, Oracle and others. On October 1, 1992, C. Itoh & Co. Ltd. changed its English name to Itochu Corporation, a more direct transliteration of its Japanese name. By the early 1990s Itochu had become the largest trading company in Japan, but losses from the Japanese asset price bubble, particularly domestic real estate investments, brought it down to third place by the middle of the decade. In the 1990s Itochu made several investments in the media industry, including a minority stake in Time Warner and investments in cable and satellite delivery systems. Uichirō Niwa became president of Itochu in 1998, implementing cuts to unprofitable businesses and cutting back executive perks enjoyed by his predecessor Murofushi. In 1999, Itochu became one of the first Japanese companies to move away from the traditional seniority-based pay scale, adopting a base pay scale based on responsibilities, impact and value of each position as well as a performance-linked bonus system. Itochu also spun off CTC in 1999, only to see CTC quickly achieve a market capitalization more than twice that of its former parent company. Masahiro Okafuji became president of Itochu in 2010 and announced a strategy to make Itochu the first-ranked sogo shosha in areas other than raw resources, particularly in food products and machinery. Under Okafuji's leadership, Itochu implemented a general ban on work after 8 PM with an across-the-board "lights out" policy at 10 PM while encouraging that any necessary overtime be taken in the early morning hours, reducing the total amount of overtime across the company. 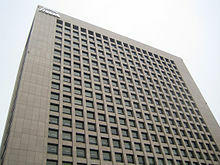 Itochu moved its Osaka headquarters to the North Gate Building adjacent to Osaka Station in 2011. Itochu entered into a cross-shareholding relationship with the Thai conglomerate Charoen Pokphand (CP) in 2014, and together with CP, agreed to invest over $8 billion in the Chinese state-owned conglomerate CITIC Limited during 2015, the largest investment ever made by a Japanese general trading company. The transaction was also the largest acquisition in China by a Japanese company, and the largest investment by foreigners in a Chinese state-owned enterprise. In July 2016, short seller Glaucus Research Group published a report critical of Itochu's accounting practices, causing a stock price dip of around 10%. ITOCHU's Osaka headquarters is located at the North Gate Building, 1-3, Umeda 3-Chome, Kita-ku, Osaka, Japan Its Tokyo headquarters is located at 5-1 Kita-Aoyama 2-Chome, Minato, Tokyo, Japan. ITOCHU also has seven branch offices in Japan, sixteen offices and local subsidiaries in China, 24 in Asia, eight in the CIS, four in Australia, fifteen in the Middle East, eight in Africa, twelve in Europe, ten in North America and nine in Latin America. Itochu's business is organized into six "companies." Textiles: Itochu trades in raw materials and finished apparel, and also has a brand business. It owns a portfolio of investments and rights in well-known fashion brands including Converse, Hunting World, LeSportsac, Mila Schön and Paul Smith. Machinery: Includes plant projects, marine, aerospace, automotive, construction/industrial machinery and healthcare. In the automotive sector, Itochu is a partner in the Yanase imported car dealership and partnered with Mazda and EnerDel to produce a solar-charged Mazda2. In the infrastructure sector, Itochu partnered with Toshiba and Hitachi to supply infrastructure for the first expressway in Vietnam, the North–South Expressway between Hanoi and Ho Chi Minh City. Itochu is also a partner in supplying rolling stock for the MTR in Hong Kong and for New Generation Rollingstock passenger rail in Queensland, Australia. It is a minority investor in the Sarulla geothermal power project in Indonesia and has partnered with Mitsubishi Heavy Industries and Engie to develop the $15.8 billion Sinop Nuclear Power Plant in Sinop, Turkey. Metals and minerals: Engages in mining and ore trading, steel and non-ferrous metal trading, coal and nuclear fuel trading and solar power. Energy and chemicals: Trades in oil and gas and a wide range of chemical products such as methanol, PTA and fertilizers. Food: Handles production, processing and distribution of various foodstuffs. Two major group businesses are FamilyMart, acquired from Seiyu in 1998, and Dole Food Company, which sold its worldwide packaged foods and Asia fresh produce businesses to Itochu for $1.7 billion in cash. Itochu is also a strategic partner of COFCO in China and owns an export grain terminal in Longview, Washington. ICT, general products and realty: The sixth company handles a variety of business lines including real estate development, logistics, insurance, forest products and information technology. Group companies include Itochu Techno-Solutions (CTC), Excite Japan and Century 21 Japan. Tsuneharu Takeda, former Imperial prince and later ambassador to Bulgaria, worked at Itochu from 1967 to 2005 and served as head of its subsidiaries in Australia and New Zealand. ^ a b "伊藤忠商事(株) 企業情報". Yahoo Finance. Retrieved 10 June 2018. ^ "Our Business". ITOCHU. Retrieved 16 April 2014. ^ "Global 500: Itochu". Fortune. Retrieved 10 June 2018. ^ a b c d e "ITOCHU History". ITOCHU Corporation. Retrieved 18 April 2014. ^ a b c d "ITOCHU Corporation History". International Directory of Company Histories, Vol. 32. St. James Press, 2000. Retrieved 18 April 2014. ^ a b c d Guth, Robert A. (27 March 2000). "Japanese Silk and Steel Broker, Itochu, Turns to Tech to Survive". The Wall Street Journal. Retrieved 9 June 2015. ^ Suzuki, Shinichi. The Japanese Main Bank System: A Transaction Cost Approach. p. 111. ISBN 9780542875380. ^ Banno, Junji (1997). The Political Economy of Japanese Society: The state of the market?. Oxford University Press. pp. 35–36. ISBN 9780198280330. Retrieved 7 April 2015. ^ a b McDonald, Hamish (2010). Ambani & Sons. Australia: Lotus-Roli. pp. 59, 102. ISBN 978-8174368140. ^ a b "Annexure to Director's Report" (PDF). Reliance Industries Ltd., Annual Report 1991-92. RIL. 1992. Retrieved 2011-11-05. ^ Brull, Steven (14 November 1994). "Foreigners Help to Open Japan Media : Bullying Bureaucracy". New York Times. Retrieved 30 April 2014. ^ Tolbert, Kathryn (4 June 1999). "Jobs for Life and Seniority Traditions Are Dropped for Western Models : Rules Change as Japan Inc. Downsizes". New York Times. Retrieved 30 April 2014. ^ Hanai, Yuki (26 April 2014). "仕事って何　「任されたら必ず改善や」 （岡藤正広　伊藤忠商事社長）". Nihon Keizai Shimbun. Retrieved 30 April 2014. ^ "ITOCHU Announces the Relocation of its Osaka Headquarters". ITOCHU Corporation. August 15, 2011. ^ "Itochu, CP to jointly invest 1 trillion yen in China's Citic Group". Nikkei. 20 January 2015. Retrieved 20 January 2015. ^ Fukase, Atsuko (20 January 2015). "Thaw in Japan-China Business Ties? Itochu's Citic Deal Towers Above Others". Wall Street Journal Japan Real Time. Retrieved 22 January 2015. ^ "UPDATE 2-Glaucus Research raises pressure on Itochu, calls for independent auditor". Reuters. 2016-07-28. Retrieved 2016-07-29. ^ "Global Network> Japan". ITOCHU Corporation. Retrieved 24 April 2014. ^ "Global Network> China". ITOCHU Corporation. Retrieved 24 April 2014. ^ "Global Network > Asia". ITOCHU Corporation. Retrieved 24 April 2014. ^ "Global Network: CIS". ITOCHU Corporation. Retrieved 7 April 2015. ^ "Global Network: Oceania". ITOCHU Corporation. Retrieved 7 April 2015. ^ "Global Network: Middle East". ITOCHU Corporation. Retrieved 7 April 2015. ^ "Global Network: Africa". ITOCHU Corporation. Retrieved 7 April 2015. ^ "Global Network: Europe". ITOCHU Corporation. Retrieved 7 April 2015. ^ "Global Network: North America". ITOCHU Corporation. Retrieved 7 April 2015. ^ "Global Network: Latin America". ITOCHU Corporation. Retrieved 7 April 2015. ^ "Textile Company". ITOCHU Corporation. Retrieved 9 June 2015. ^ "Machinery Company". ITOCHU Corporation. Retrieved 9 June 2015. ^ "Toshiba, Hitachi and ITOCHU Win Order for ITS Package for Vietnam's Expressway". ITOCHU Corporation. 18 March 2014. Retrieved 18 April 2014. ^ "Announces Awarding of Contract "Rolling Stock Modification and New Train Cars for SCL Phase 1" for MTR in Hong Kong". ITOCHU Corporation. 24 January 2014. Retrieved 18 April 2014. ^ "ITOCHU to Participate in PPP New Generation Rollingstock Project in Queensland, Australia". ITOCHU Corporation. 29 January 2014. Retrieved 18 April 2014. ^ "ITOCHU Announces Conclusion of Loan Contract for Sarulla Geothermal IPP Project in Indonesia". ITOCHU Corporation. 31 March 2014. Retrieved 18 April 2014. ^ "2 Japanese companies aim to fund 30% of Turkish nuclear project". Nikkei Asian Review. Nikkei. 8 June 2015. Retrieved 9 June 2015. ^ "Metals & Minerals Company". ITOCHU Corporation. Retrieved 9 June 2015. ^ "Energy & Chemicals Company". ITOCHU Corporation. Retrieved 9 June 2015. ^ "Food Company". ITOCHU Corporation. Retrieved 9 June 2015. ^ "Corporate History". FamilyMart. Retrieved 18 April 2014. ^ "Japan's Itochu to buy Dole Food businesses for $1.7 billion". Reuters. Retrieved 18 September 2012. ^ "ICT, General Products & Realty Company". ITOCHU Corporation. Retrieved 9 June 2015.